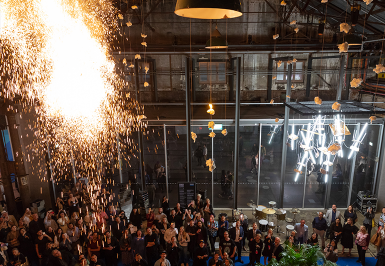 Don’t miss the highly-anticipated Opening Night, where some of Sydney’s top musicians and performers transform Sydney Contemporary into a celebration of art, music and performance. More will be revealed in the coming months but until then save the date for Thursday 12 September and sign-up to our newsletter to receive information about the first release of tickets. 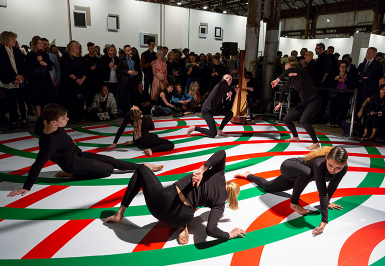 Sydney Dance Company’s Pre-Professional Year 2018 dancers collaborated with Paris-based Australian Visual Artist Mel O’Callaghan on a ritualistic public performance. The dancers shared the space with members of the public as they went through a breathing ritual using potent Altered State of Consciousness technique characterised by a rapid and deep breathing protocol accompanied by a musical score that guided the performers. 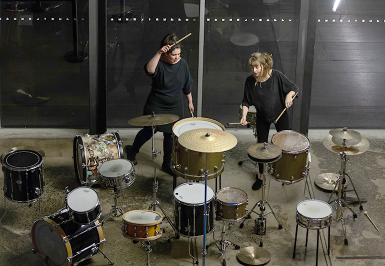 Taking its title from the rarely used female conjugations of ‘Bravo’, this new performance by Lauren Brincat was a site-specific response to the architecture of the art fair via a rhythmic duet between two drummers. Responding to a score set by the artist, the percussionists explored their instruments sonically, performatively and sculpturally to create an experience that tangles with the very nature of ‘liveness’. 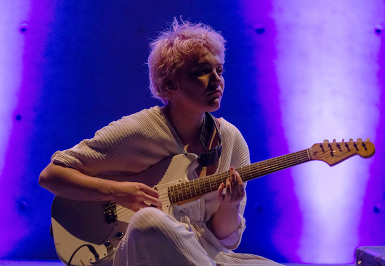 Jaala (solo), whose debut album ‘Hard Hold’ got AMP’s ‘Album of the Year’ and Triple J’s Feature Album, rocked Track 12 on Opening Night. 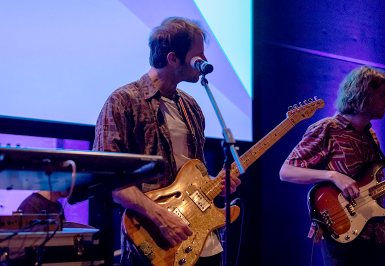 Mazy is the brainchild of Ben Tierny (Lead Vocals) Tim Grimes (Keys & Percussion) and Sam Clayton (Bass) who themselves are no stranger to the Sydney music scene. Collectively the group have written with, or played alongside the likes of New Navy, I know Leopard, Gaspar Sans and Winter People. After their debut single ‘Heliar’, Mazy were signed to Sydney tastemaker label Sweat It Out Music, who have nurtured and grown some of Australia’s most successful recording artists including Rufus, What So Not and Winston Surfshirt. Stylistically Mazy draw on a wide array of influences and weave in and out of the delicately organic to the powerfully electronic. The multi-instrumentalists have focused as much on their live performance as they have their song writing. With a well-oiled live show. 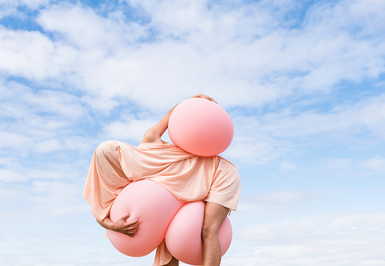 Concrete Playground presented our Opening Night after party with artists Honey Long and Prue Stent (represented by ARC ONE Gallery, Melbourne). The festivities continued with DJs, performances and installations taking over local favourite The Royal Hotel, Darlington.